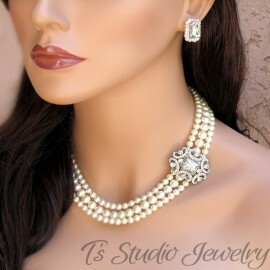 Includes necklace as well as matching bracelet and earrings. 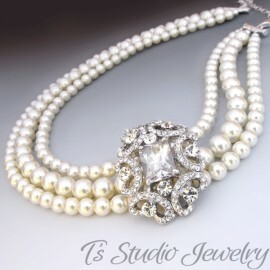 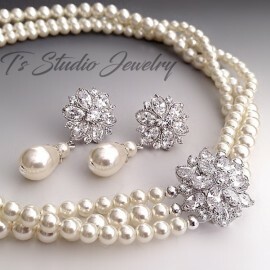 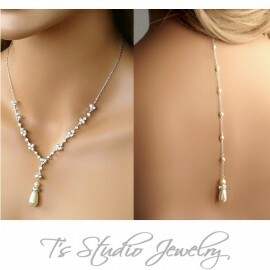 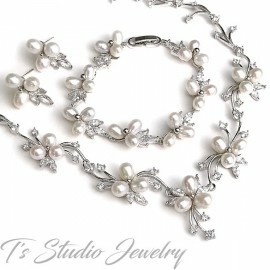 If you are looking for the perfect necklace, bracelet and earrings set for your special occasion, you have found it! 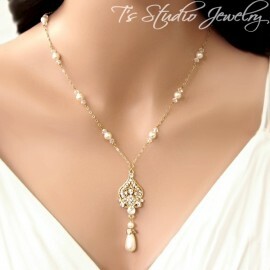 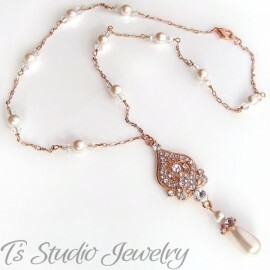 This darling pearl necklace is made with three strands of small pearls in cranberry red color, with a crystal rhinestone centerpiece that is offset to one side.